Tucson Daily Photo ~: Trivia time - what are baby peacocks called? Here is the last photo from the zoo party. I saved this one to post separately because I think it is so special! 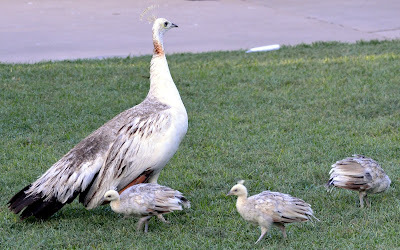 First, I have never seen baby peacocks (peachicks is their proper name) and I would never have guessed that they have their head crest feathers already. 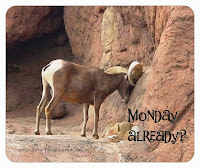 And the one on the right - it looks like he is trying to be an ostrich!! (: Wonderful family photo. Anyway, I'm in awe of those stilt dancers - I never was very good at balancing, even on the ground! Hoooray Friday Fun at the zoo!! Hi Elizabeth! Yes, the zoo's elephant habitat is wonderful. I posted photos of the baby Nandi several months ago. In August the zoo is having a big 1st birthday party for her!